Educational Technology and Mobile Learning - website providing a valuable resource of educational web tools and mobile applications for teachers and educators. There are apps listed for Android and iPad users. Speak It! is a text-to-speech app that can help your learner read or speak. You simply copy and paste the selected text and the app reads the words out loud. Speak It! highlights each spoken word so that kids can more easily follow along with the text. The app gives a non-verbal child a voice so that he or she can interact with classmates. Just type what you want to say and Speak It! does the rest. Read2Go corresponds with a digital library company called Bookshare that makes books available to students with reading-related disabilities such as dyslexia and vision issues. From within Read2Go, you can browse, search, download, and read books directly from Bookshare using your Bookshare membership, as well as read DAISY books from other sources. The app gives you full control over visual choices for font size and color, background and highlighting color, and text-to-speech preferences. Read2Go features word-by-word highlighting for multi-modal reading. Students who have difficulty writing due to disabilities can benefit from the free Dragon Dictation app. This voice recognition technology app enables a student’s iPad or iPhone to capture and document what the child says. Powerful, yet wonderfully simple note-taking and annotation. Apple's Mac App of The Year! Apple Editors' Choice on iPad, iPhone, and Mac! Recognized by Apple as the Best Selling Paid Productivity app in 2016, 2015, 2014, and 2013! Students, teachers, and business professionals use Notability daily to take notes, sketch ideas, annotate PDFs, mark-up photos, record lectures, provide audio feedback and more. It is uniquely designed for each device to provide the best note taking experience at school, at home, and at work. And with iCloud, your notes are always up to date. If a visual disability makes using a calculator difficult for your child or student, the Talking Calculator app could become your ideal solution. Talking Calculator features large colorful buttons, creating an easy-to-use interface. Plus, as the app’s name suggests, the calculator talks. Put your finger on the screen and Talking Calculator tells you what button your finger hovers over. Perform a calculation and the calculator vocalizes the answer. Another math-related app, Virtual Manipulatives! uses visuals to effectively teach fractions, decimals and percentages. Virtual Manipulatives! ranks among the top 50 free educational apps and received honours as an Apple staff favourite. When a school project entails an artistic element, consider Draw Free for iPad. General education teacher and Learn It In Five website creator Mark Barnes specifically notes that the Draw Free for iPad works well for students with fine motor skills challenges. Barnes has personally seen students with disabilities succeed inside his mainstream classroom using this free app. Innovative assistive devices to make it easier for people with disabilities. 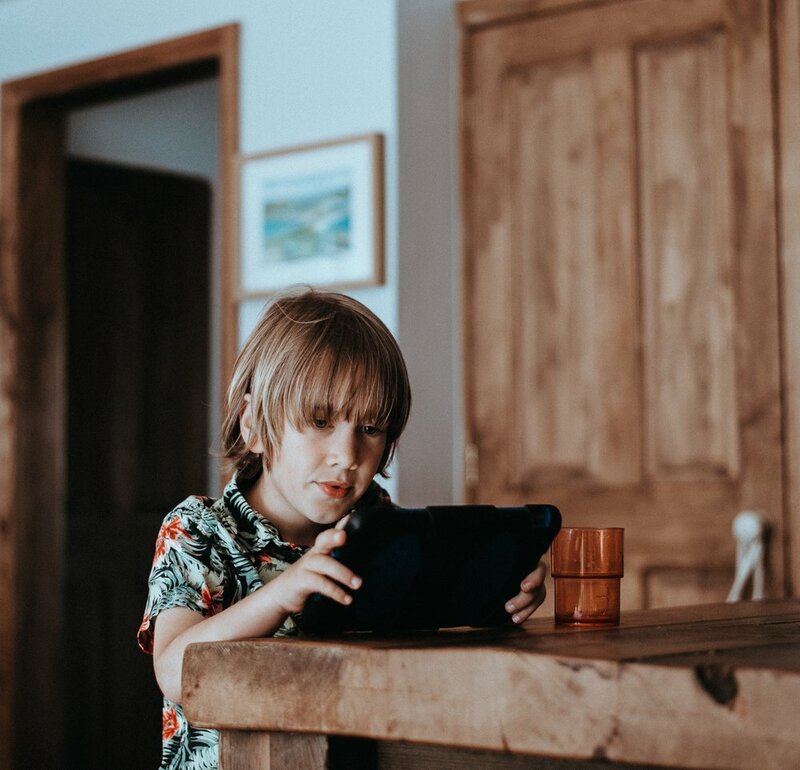 For children and adults who are unable or reluctant to use their voices, we offer a complete line of user-friendly Augmentative and Alternative Communication (AAC) tools and systems that encourage social interaction while fostering greater independence in virtually any environment. Over the years, we've helped parents, guardians, caregivers, educators, therapists, and AAC professionals in schools, rehabilitation hospitals, and acute care facilities understand the wide-ranging benefits of AAC products, while assisting them in selecting a single product, or suite of products, that will be most beneficial to the user. From children with developmental language disorders, to individuals with severe physical disabilities such as cerebral palsy, to persons who are living with the affects of a stroke, we have a wide array of options. Allow special needs users to control the cursor with minimal hand movement and without fatigue with the Rock Adapted Joystick mouse alternative computer aid. All the functionality of a traditional mouse, including left/right click and double-click, in a joystick that requires minimal hand movement for precise cursor control without fatigue. Includes three interchangeable joystick handles - a straight stem, a T-bar and large soft ball. Big grips are a protective iPad case cover that is accessorize for the iPad. They are safe and secure, made out of non-toxic material that is free of BPA, PVC, latex. Phthalates, and lead. They are lightweight and easy to clean. There are covers for the iPad, iPad mini, and the iPad Pro 12.9”. Hover is the newest mounting system from AbleNet and is made from ultralight and super strong carbon fiber. At 1.1 pounds, Hover is 60% lighter than our popular Friction Knob or Lever Universal Mounting Systems and 50% lighter than the Latitude Arm Mount. Select from a variety of options to mount your switch, iDevice, or just about anything else that is compatible with an AbleNet mounting plate. SofType is a software utility which replaces the functionality of a desktop keyboard with a full featured, on-screen keyboard. SofType can be accessed using a mouse or mouse emulator such as the HeadMouse® Nano. SofType works by generating an image of a keyboard on the computer screen. When a key is selected or clicked, the character represented by that key is sent to the Windows application with focus. Dragger is a software utility for manipulating the left, right and middle mouse buttons of a standard mouse or mouse emulator, like the HeadMouse® often utilized by people who have physical motor challenges. Dragger can be used to enter mouse clicks via direct selection (often with an adaptive switch) and by holding the mouse pointer motionless which is commonly referred to as "dwell". The dwell selection function in Dragger is called AutoClick™. When enabled, AutoClick monitors the pointer and clicks the left mouse button when the pointer is brought to rest for the programmable dwell time. If the pointer remains motionless it will not click again. Using the Dragger toolbar this single left click can be turned into a Double Click, Right Click, Middle Click, or Left, Right and Middle Drag. A gentle sip or puff on a tube may be easier and more suitable for some than a more traditional adaptive switch. Like a traditional switch, our sip puff switches can be used to access all manner of switch activated devices - speech generating devices, computers, tablets, mobile phones, environmental control systems, and other devices designed for switch scanning. Is a gesture-based screen reader that tells you exactly what’s happening on your Apple Watch, and helps you navigate it, without the need to see the screen. Activate Larger Dynamic Type to increase the text size for a range of Apple Watch apps, including Mail, Messages and Settings, to make it easier to read. You can also choose Bold Text to make the text heavier across built-in apps. It’s easy to zoom in on your content by using the Digital Crown to move across the screen by rows. With magnification up to 15 times the native size, Zoom helps you enjoy all that Apple Watch has to offer. If it’s easier to see the screen without colour, Apple Watch lets you enable greyscale onscreen. Once you set the filter, the settings apply system wide, so you’ll see only shades of grey on the Home screen, in apps and more. Apple Watch has many different faces that you can change and customize. One of them has numbers that take up the entire screen to make it easier to view the time. For features like alerts, Siri and Glances, you can increase the contrast on your Apple Watch screen by reducing the background transparency. The Activity app provides a snapshot of your daily activity, with the goal of closing each of the three rings every day. For wheelchair users, the rings are Roll, Exercise and Move. Instead of a Stand goal, the Roll goal encourages you to roll or stretch every hour. For your Exercise and Move goals, Activity measures pushes, so active calories are calculated more accurately. Sensors are configured to address different surface types, inclines and transition moments, such as moving from a wheelchair to a seat at your desk, or from your chair to your car. The Workout app lets you accurately measure your movement in specific exercise routines and set goals based on time, distance or calories. For wheelchair users, there are two unique workouts — Outdoor Wheelchair Walk Pace and Outdoor Wheelchair Run Pace. Just choose a workout and Apple Watch turns on the appropriate sensors. Create amazing things with your Mac without touching a mouse or keyboard. With Switch Control, you can navigate through onscreen keyboards, menus and the Dock using a variety of switch options. Siri, the intelligent assistant from Apple, helps you do the things you do every day. All you have to do is ask. Say something like “Tell Lucy I’m running late” or “Remind me to make reservations for Saturday.” Siri can send messages, place phone calls, schedule meetings and more. And Siri is integrated with Switch Control, so you can use it even when “Hey Siri” isn’t active. You can even use Siri to turn on Invert Colors and Guided Access. If you learn better when you can hear what you’re reading or writing, features like: Speak Screen, Speak Selection, Typing Feedback and Predictive Text can help by adding an auditory component to text. Turn on Speak Screen and swipe down from the top of the screen with two fingers, or just tell Siri to Speak Screen, to have all the content on pages read back to you. Or use Speak Selection to highlight the specific range of text you want to hear. Then follow along as highlighted words, sentences or words within each sentence are read aloud. And with Typing Feedback activated, each letter you type on the keyboard is spoken aloud as well. You can also use Predictive Text, which suggests word options that you can listen to and choose from to get help with spelling. FaceTime lets you video call others, whether you use sign language, gestures or facial expressions. Speak Selection helps with speech development by speaking the words you’re reading, or you can compose your own text and have your iPad speak for you. There are also more than 100 third-party speech apps that can turn your iPad into a powerful augmentative communication device.